The strong association with relaxing baths, local shops, and bottling spring water makes me nearly always forget Hot Springs’ mafia connection until I’m actually strolling around the city. Little tidbits like reading the historic plaques or walking past the gangster museum will remind me that this pleasant tourist town was once a mafia mecca. Let’s don our fedoras and look at some of the mean muggers that organized the illegal gambling rings and bootlegged booze. We might as well start with the most famous gangster in America. 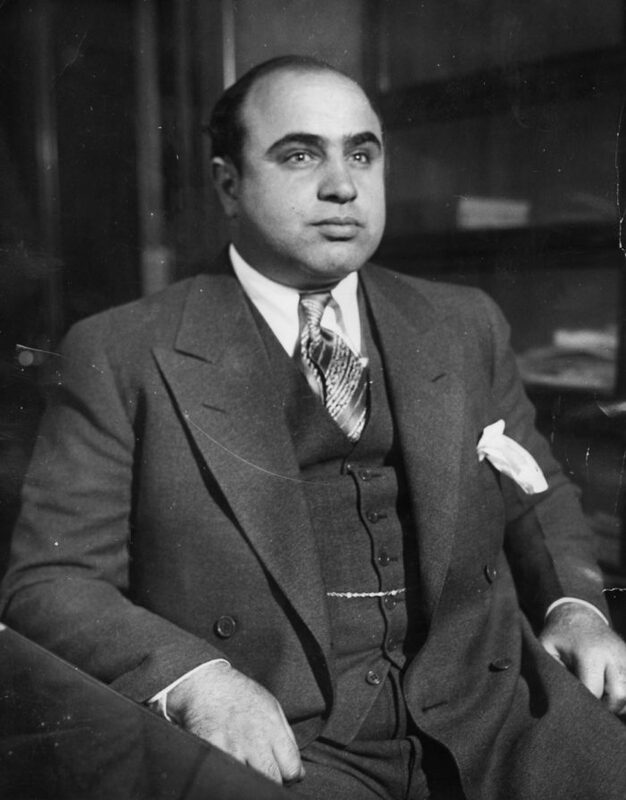 Al Capone was a frequent visitor to Hot Springs. He would always stay at the same room, 443, of the Arlington Hotel. 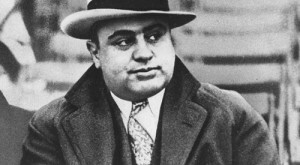 Although a vacation spot, Capone was also here for business. He would come from Chicago to restock his clubs with moonshine made in the Ouachita mountains. Fun fact: He had the railroad cars that held his bootlegged liquor painted with "Mountain Valley Water" on the sides. 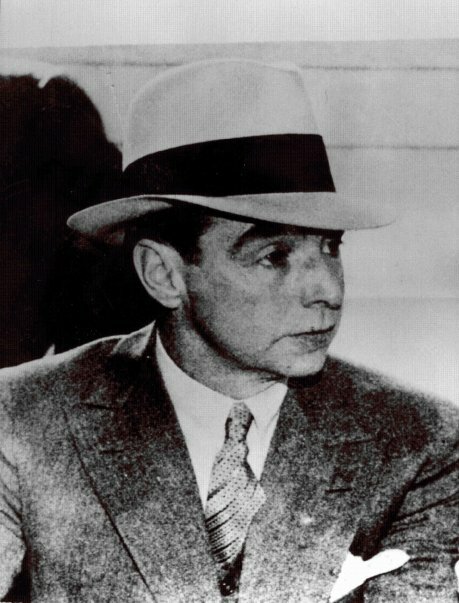 This mobster owned the Southern Club (which you may be more familiar with the location's current business, Josephine Tussaud's Wax Museum). 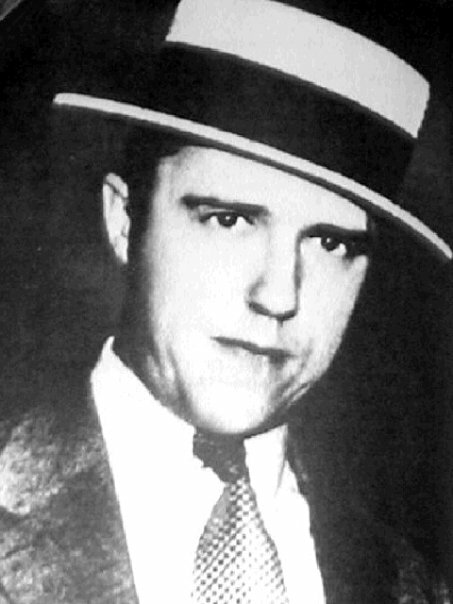 Madden was also one of the founders of the New York mob and owner of Harlem's famous Cotton Club. 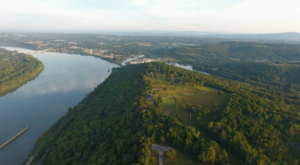 He made his way to Hot Springs as a way to lay low from rivals in New York. After marrying the postmaster's daughter, he settled down in Hot Springs and became the overlord of illicit gambling. 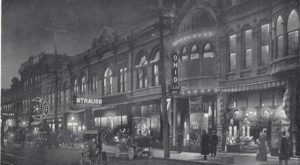 Although gambling was a felony in Arkansas at this time, Oaklawn flourished with help from gangsters, uninterested police, and the rest of Hot Springs' 30,000 supportive residents. This particular picture was taken at the finish line in 1945. 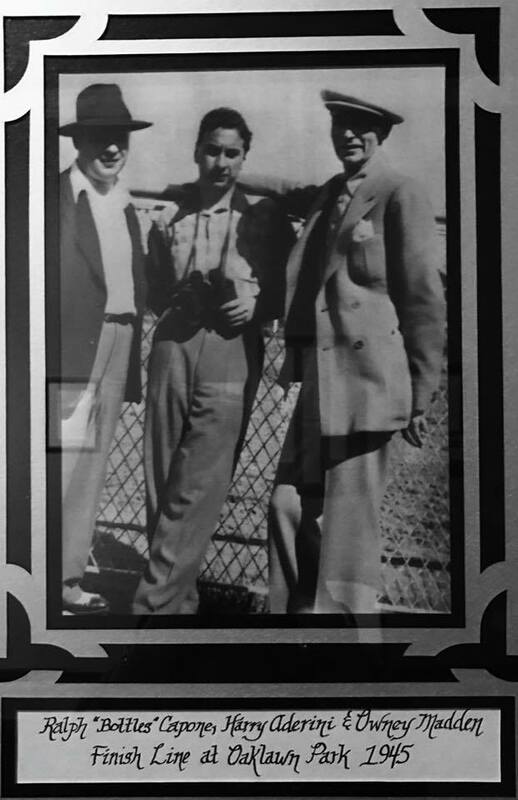 You're looking at Ralph "Bottles" Capone (brother of Al), Harry Alderini, and Owney Madden. 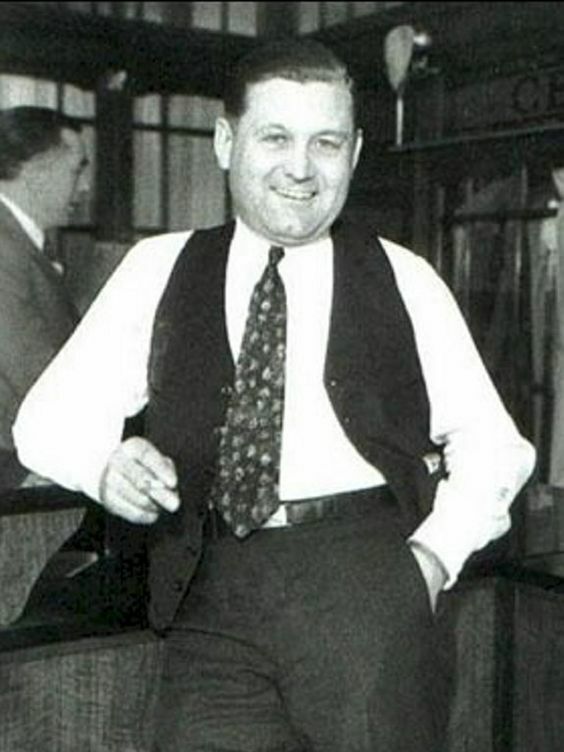 Bugs Moran didn't have business ties to Hot Springs but he did stay there. 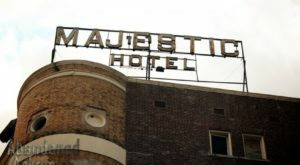 There's a tale that this Capone arch enemy and his gang stayed at the Majestic Hotel just a block away from Capone at the Arlington. No shots were fired since both were on vacation at the time. 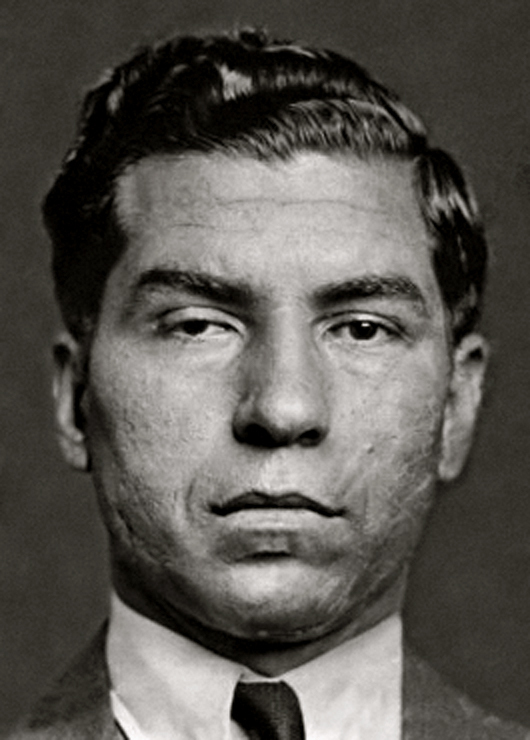 Lucky Luciano was not so lucky during his time at Hot Springs. The mobster was arrested while walking on national park land (which fell under federal jurisdiction). At the time of arrest he was strolling with Herbert Akers, the Hot Springs chief of detectives. 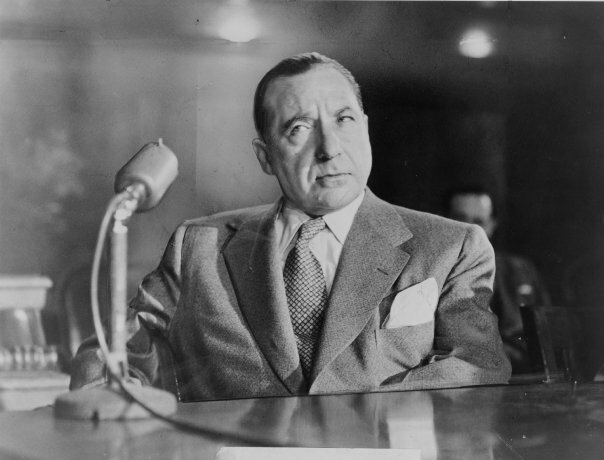 Frank Costello aka "The Gambler"
After retiring as "Prime Minister of the Underworld," Costello had an interesting tie to Hot Springs. The gambling community begged him to oversee the illegal gambling business in the city as the new czar. His letter of declination actually made statewide headlines in 1960. America's last official Public Enemy No. 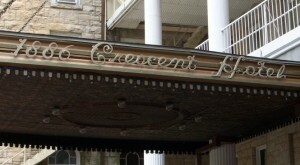 1, Karpis was the manager of a prostitution ring held above what is now part of the Arlington Hotel. Karpis ran the "Hatterie Hotel" with his wife successfully since the Hot Springs police were some of Karpis' clients. 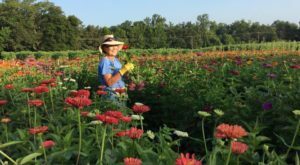 What a way to support local business. This is The mafia mobster of America. 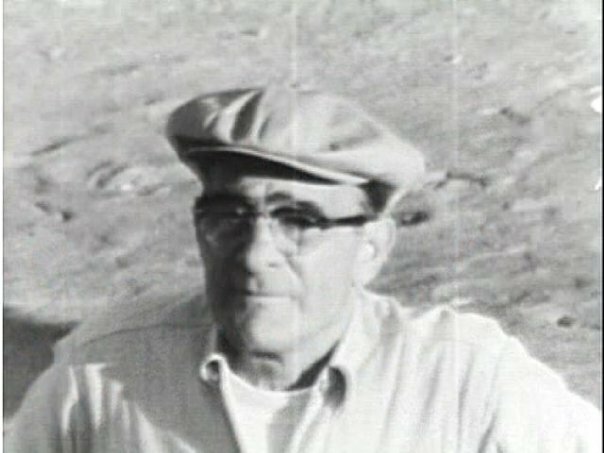 Genovese was known as the "boss of bosses" in the late 50s when he ruled the most powerful and dangerous criminal organizations in the world while also maintaining influence over other crime families. He and his family would frequent Hot Springs as a gangster-friendly vacation spot. 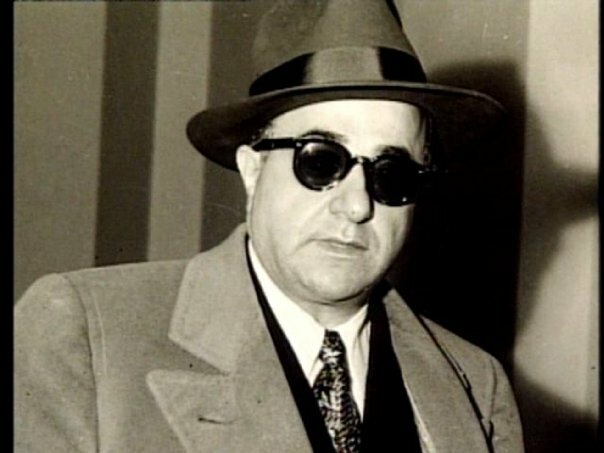 The founder of the American Mafia, Albert Anastasia's last trip was to Hot Springs. The gangster had come to visit Owney Madden for business advice but just days later was gunned down after returning to New York. 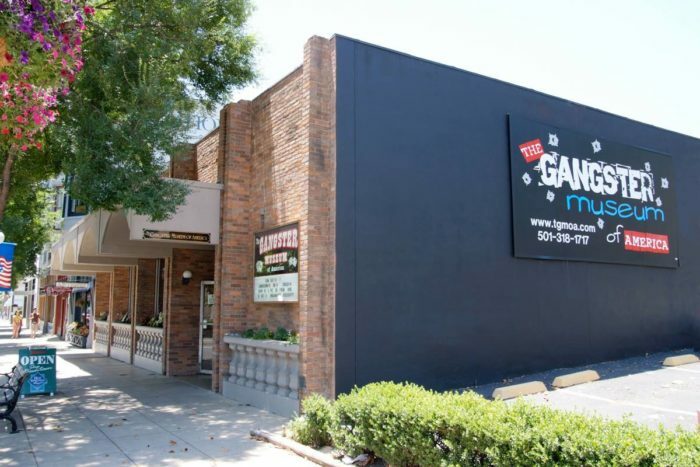 Find out more mob history for yourself at The Gangster Museum Of America. It's on 510 Central Ave. in Hot Springs. 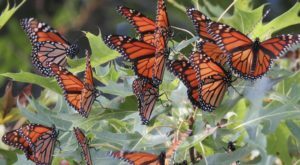 For more information, visit their website right here. Did you know Hot Springs was such a gangster paradise? Share with us in the comments below! 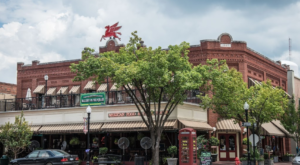 Hot Springs may have mafias, but do you know which town is the most hippie?